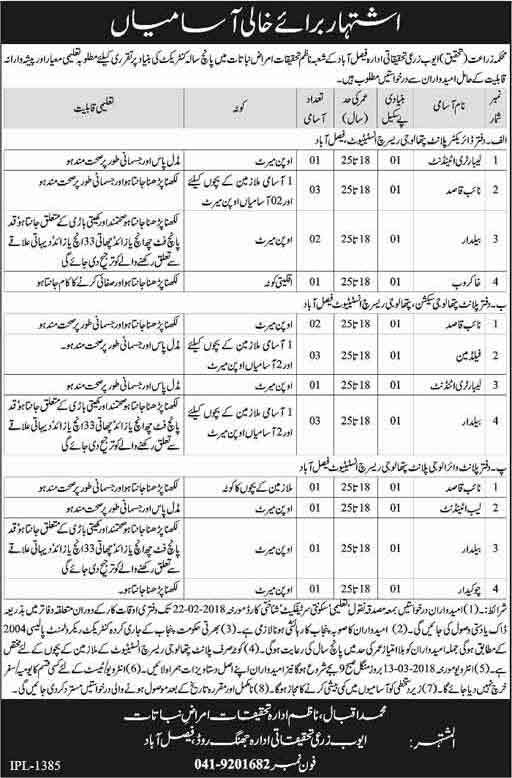 Agriculture Department Faisalabad Jobs 2018 in Daily Khabrain Newspaper on 01/02/2018.Following Posts are Vacant, Laboratory Attendant, Baildaar, Field Man, Chowkidar and Sweeper. Candidate who has required Qualification and experience can apply for these New Punjab Government Jobs 2018. These jobs are on Contract basis for the period of 05 Years. Candidates should be citizen of Province Punjab.